On Sunday 5th of August, Oxfordshire travelled to Herefordshire for the start of their MCCA 3 day match at Brockhampton. 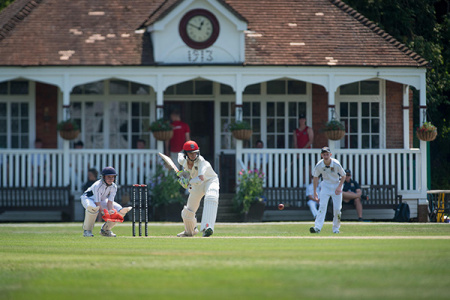 The fixture saw Oxfordshire win the match by 14 runs, in a thrilling final days play of cricket. Apart from the thrilling result, the match will also be remembered for the average age of the team being 21 years old, and a certain player making his Oxfordshire debut. This week we caught up with Ollie Price, the seventeen year old all rounder who made an impressive debut in the match, taking 3-14 on the final day to help Oxfordshire secure the win. "Playing in the minor counties game against Herefordshire was a fantastic experience and a great game to be a part of. Bowling them out on the last day was a brilliant moment, and I really enjoyed the opportunity. I owe thanks to all the help I have had from Oxfordshire, as I played in the age groups sides since U10s, and further to this the support I have received from Gloucestershire, through their academy pathway – the time and coaching of Owen Dawkins, and Tim Hancock amongst many others has really helped my game. My school, Magdalen College School have also been invaluable in allowing my cricket to develop, particularly through the efforts and coaching of Alan Duncan. I look forward to hopefully representing Oxfordshire again in the near future."